Everyone knows that promotional companies carry mugs and pens, but not everyone knows how much more we have to offer. We are all different. Me, I like to diversify by adding eco-friendly items to our line, all kinds of apparel, print, awards and gifts in additional to the tried and true. 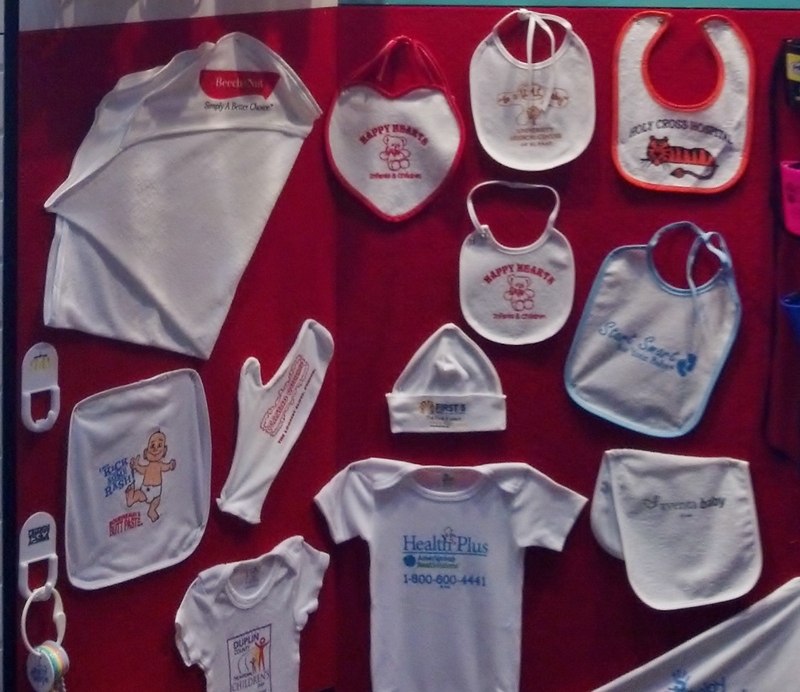 Here are an assortment of baby bottles, blankets and apparel to give you an example of some of the items we carry. Baby blankets and hats are always a hit with hospitals.